My Weekly Indicators piece is up at XE.com. Some of the bad news appears to be abating, while there a new, both positive and negative, crosscurrents. Should the Fed raise rates when inflation is being driven exclusively by a necessity, and demand for that necessity is being driven by demographics? and has driven median asking rents to record inflation-adjusted highs. Notice what happened from the late 1960s through the early 1980s as the Boomer generation reached initial apartment/home buying age. The same contrast is appearing now. Last I checked, shelter is a necessity. 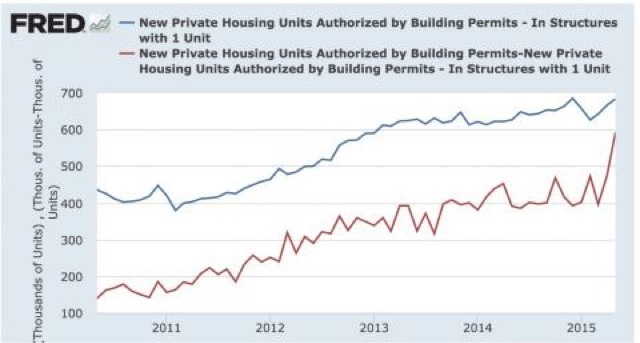 So we have this huge demographic creating an increasing demand for shelter, which is driving up prices and construction, to alleviate the shortage. If the Fed raises rates, all they are doing is making the shortage more acute (because shelter is a necessity and ultimately the demand must be filled), and hurting Millennials in the process. 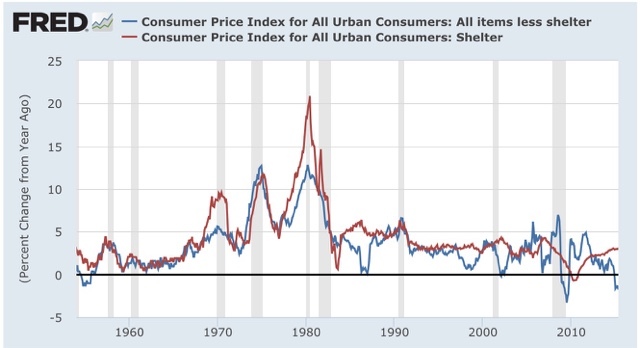 Further, all that does is set the stage for even more inflation for shelter later on in the next recovery, just as it did in the 1970s. 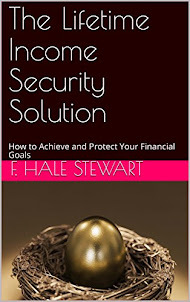 In my opinion the Fed should relax its inflation target, specifically as to shelter, to accommodate this secular demographic need. As to everything else, at the moment inflation is a dead as the fabled parrot in the Monty Python sketch. 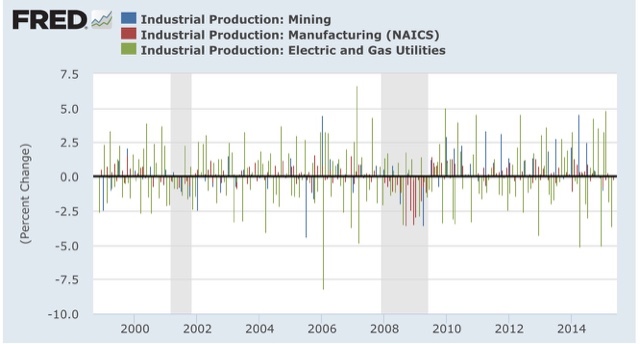 Several days ago May industrial production showed another decline. The consensus in the commentary was that this was due to continued weakness in the Oil patch and strength in the dollar. I agree. James Picerno also had a nice, lengthy article explaining why this ongoing decline isn't enough to be a recessionary red flag. I agree with that too. 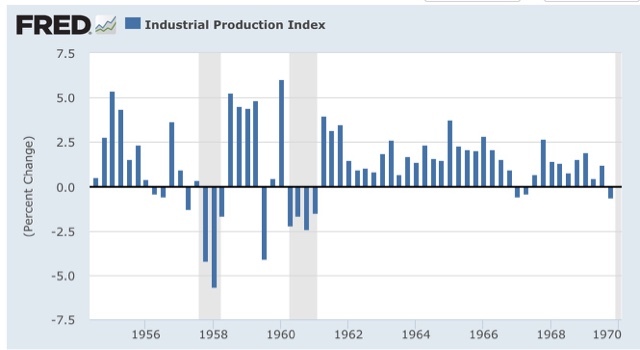 But it is worthwhile to show why Picerno, and the consensus, are correct, by comparing the various sectors of production, and comparing the current weakness in production with past episodes of weakness. 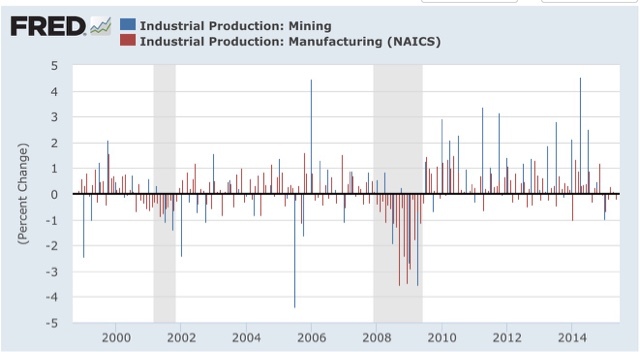 While manufacturing has shown a little weakness, the biggest difference by far is in mining -- and that's where the Oil patch weakness shows up, as well as coal and metals production for export (recall how awful rail and steel have been in the Weekly Indicators for the last 4 months). Now let's compare the present weakness with past episodes. 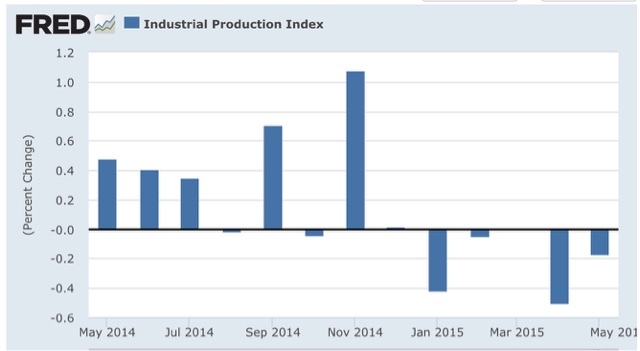 Note the decline in Q1 was less than -0.2%. That's considerably less not only than prior declines associated with recessions, but even with declines where no recession occurred. 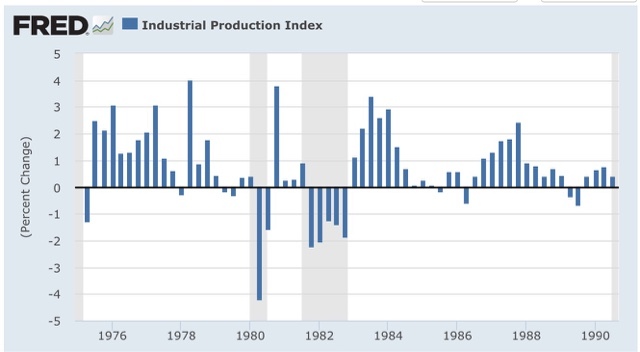 Again, note that the Q1 decline in industrial production was almost trivial compared with other declines whether or not associated with prior recessions. So far the decline in Q2 is a little bigger than that in Q1. But still not enough to compare with past episodes of weakness that were associated with recessions. 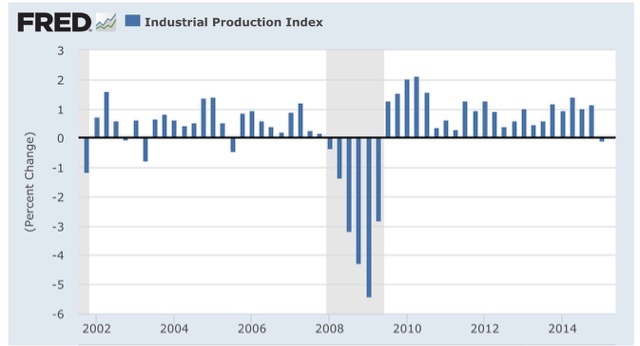 In short, this shallow industrial recession is not derailing the robust overall economy. 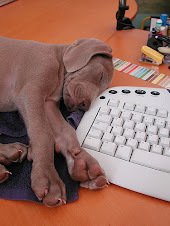 I have a new post up at XE.com about his morning's housing report, which was a blowout! But don't get too excited.